Antonio Burgos married the woman and brought her and her child to the United States from El Salvador, according to his guilty plea. A Portland, Oregon, man has pleaded guilty to trying to bribe an immigration official to deport his wife and her child from a previous relationship, according to court documents. The man, Antonio Oswaldo Burgos, 48, agreed last month to plead guilty to one of three counts of bribery of a public official in exchange for a reduced sentence, according to federal grand jury documents that were unsealed after his plea hearing in Portland on Tuesday. According to the plea deal, Burgos married the woman, who wasn't identified, in El Salvador. But after he brought the woman and her minor child to the United States, the "marital relationship deteriorated," and the woman moved out with her child, it says. On May 24, according to the plea deal, Burgos tailed a deportation officer from Immigration and Customs Enforcement, or ICE, in his car for almost 15 miles from the ICE office in Portland across the state line to the southern Washington city of Vancouver. When the ICE officer finally stopped in a parking lot, Burgos offered the officer $4,000 to deport his wife, saying they were divorcing and giving the officer his contact information, according to the plea deal. ICE investigators then set up a sting, and in two phone calls, Burgos again offered money — $3,000 this time — "to remove [the woman] from the United States," according to the plea deal. Then, on June 6, Burgos met with the ICE officer in another parking lot and gave the officer $2,000, with a promise of $2,000 more once his wife was out of the country, the documents say. He was arrested on June 29. 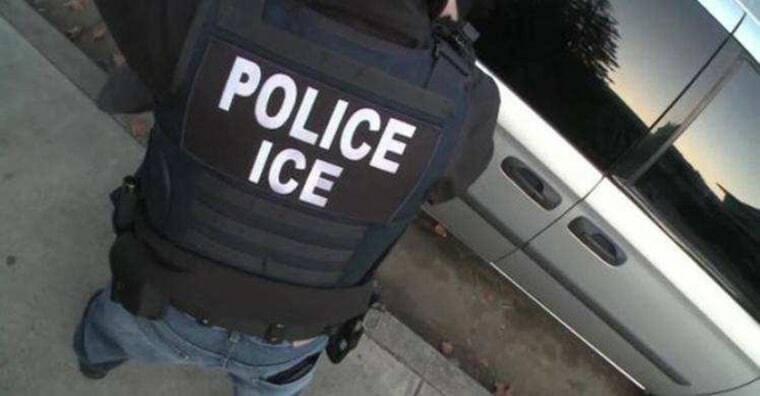 "We rely upon our officers to perform their duties with integrity," Brad Bench, special agent in charge of the Seattle office of Homeland Security Investigations, said in a statement. "This case should send a strong message that those who attempt to coerce a public official will be punished." Had Burgos been convicted at trial, he could have faced 15 years in prison and a $250,000 fine. Sentencing was set for next May.